Philadelphia Mayor Jim Kenney has wasted no time in trying to pass his three-cent tax on sugary drinks. He is not the first mayor to attempt to shrink waistlines while trying to fatten the city’s coffers. Former Mayor Michael Nutter tried to pass a soda tax several times and failed. In fact, similar taxes have been tried and failed in more than 30 states. Aside from organizations such the American Beverage Association speaking out, to the tune of about $70 million, most people who talk about this issue fall into one of two camps. Unfortunately, current discourse is polarized and blurs some of the more important points. Those in favor of the soda tax claim it will decrease a variety of health conditions. There is no shortage of data that shows that overconsumption of sugar leads to obesity, diabetes and heart disease. Moreover, critics of sugary drinks claim they are highly addictive, leads to hyperactivity among children and increases the likelihood of childhood obesity and Type-II diabetes in children. Those opposed to sugary drink taxes argue there is no need for city officials to patrol what we eat or drink. Many go so far as to claim that sumptuary laws do not prevent people from partaking in a behavior, but rather, punish people for being addicted to smoking, alcohol or, in this, case sugar. Mexico is often the shining example for these sugary drink and junk food taxes. Since passing a junk food tax in January of 2014, the country has seen a 12 perecent decrease in the consumption of soda. Mexico raised their junk food tax about one peso or approximately seven cents. Mexico’s National Institute of Public Health was clear: results are preliminary. In addition to passing a tax on sugary drinks, Mexico also taxed junk food, such as cookies and potato chips, about eight percent. And who saw the biggest change in consumption? Those with the lowest socioeconomic status. No, I’m not pro-American Beverage Association. Yes, I know sugar in high quantities is bad (and often delicious). Both sides agree: the soda tax hits those with the least. Mayor Kenney suggests the tax will be absorbed by the beverage industry and not be felt by consumers. But the industry is adamant that the tax will be passed directly to consumers. This raises the question: is it just to pass this tax on to those who are least able to afford it? Jim Kenney and supporters argue that those in lower socioeconomic statuses are already robbed of their money and this small tax will actually help reinvest in their communities. For context, the Kenney administration projects it will raise $432 million in revenue spread across five years. Kenney plans to spend that money by creating universal pre-K, upgrading parks and investing in community schools. All of these things are great. In fact, I truly hope Mayor Kenney is successful in accomplishing all of these goals as they are certainly needed. Unfortunately, the arguments miss the real issue. 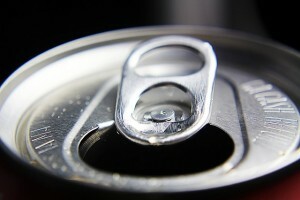 Those who are poor consume more sugary drinks because they are cheap calories. These are individuals already at risk for developing chronic health conditions such as diabetes, heart disease or obesity. In my city, Philadelphia, 22 percent of people do not know from where their next meal is coming and 307,000 Philadelphians still live out of walking distance to healthy foods. Almost 500,000 of my neighbors are using food stamps. As the average Philadelphia food stamp user survives on just $4 a day, high calorie drinks and junk food ensure they get the most caloric bang for their buck. So called “healthy” foods are not cheap. In fact, the cost of fresh, healthy foods has increased by 29 percent from 2004 to 2008, while junk foods have only increased 16 percent during the same time period. When 26.5 percent of Philadelphians live in poverty, every dollar counts. When you need to make your $4 food stamp stretch for three meals, you wonder what $1.50 can buy. If sugary drink taxes can help reduce the overall consumption of sugar, as it did in Mexico, we have both a moral obligation, as well as a strong economic incentive, to pass such taxes. Chronic disease costs us millions each year. But we must approach this correctly. As Philadelphia debates this issue, we need to keep in mind that previous food policy has been focused primarily on addressing caloric intake. As we move forward, we need polices that address issues holistically. The fact is, if this tax works as it should, poor people will be consuming far fewer calories and there will be no alternative to fill that gap. All people deserve quality, affordable and nutritious foods. As much as I want to see universal pre-K, the money raised from soda taxes ought to be invested in food programs. Otherwise, we risk feeding the city’s stomach, while others go hungry.